Another large zippered side pouch may be used to carry additional set-up equipment or documentation. You can never have too much storage space, and this carrying bag has it in abundance. 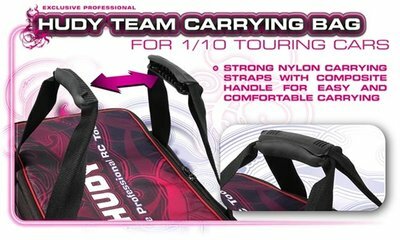 • Smart, stylish and distinctive light and ultra-versatile HUDY Team Carrying Bag. 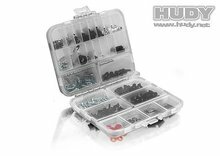 • 2 large + 1 small storage boxes included made from strong, reinforced, waterproof material.